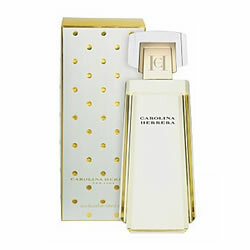 Carolina Herrera Perfume by Carolina Herrera is a rich melody of white flowers, principally Jasmine and Tuberose. It is a sweet and feminine fragrance that is also uplifting and sensual. The fragrance ends with a sensual hint of sandalwood, cedar, moss, vetiver and civet.